Removing a tree, especially one that has been a part of your property for many years, can be an extremely demanding procedure. Not to mention, if the tree is especially large, you may be seriously injured or cause significant damage to your property. Avoid the hassle and possible danger by allowing our professionals at the Tree Removal Company in South Miami take care of the tree removal. Our experienced team have the right tools and supplies needed to make the process quick and simple. At the Tree Removal Company in South Miami we want you to know that it is more than simply chopping at a bark. Our Stump Grinding Services requires a process with various steps, each equally as important, that ensures the removal will run smoothly. Our qualified arborists have been trained to understand the fundamentals of different kinds of trees and the most effective way to extract each one. Larger trees that have been on a property for many years will have roots that span much further underground than the naked eye can see. 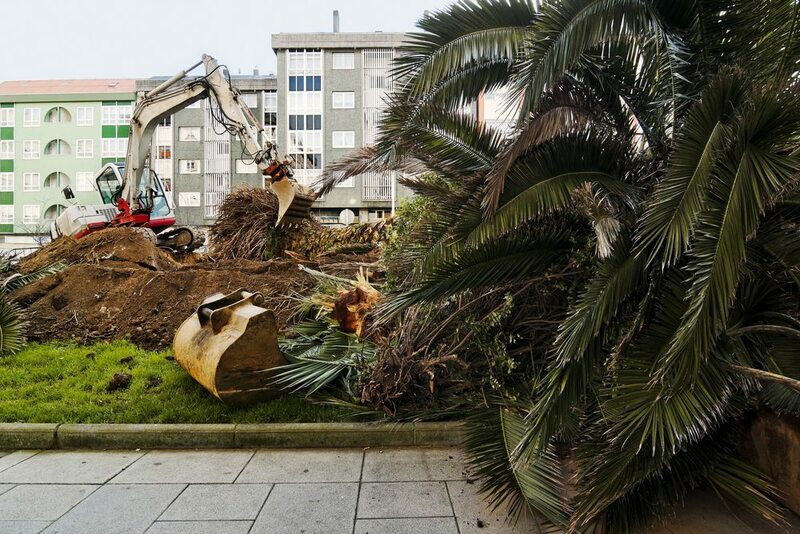 For this reason, it is crucial that the tree removal process is done correctly in order to avoid property damage. Have your trees removed by the Tree Removal Company in South Miami. We are a team of driven professionals. Contact Frank’s Lawn & Tree Service today at (305) 233­-9369 for your free estimate!